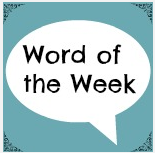 The lovely Jocelyn from The Reading Residence has recently started a new linky, called ‘Word Of The Week’. The challenge being to to find one word that sums up your week. I love a linky and a challenge, so jumped at the chance to join in. I could have chosen a few other words, pain, illness, tired, grumpy, but I want to focus on a positive aspect of the week. I have LOTS going on in my head, things I should be doing, things I want to do and if I just let these thoughts roam free, I get very stressed. I want to do so much and do put alot of pressure on myself. Hence the resulting stress. 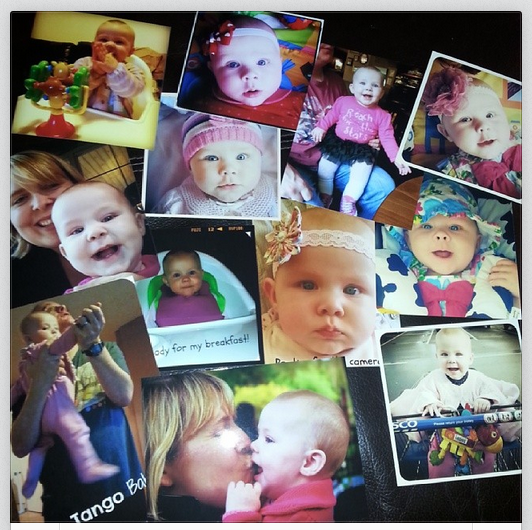 I am an organiser by trade, but it usually escapes my home life, especially since Baby was born. So this week I have tried to take control and it has made me feel a bit better. I have focused on home and my blog. Some aspects are still work in progress, but I have made a start. I have finally bought a calendar for the kitchen, so we can see what’s coming up. The first time in 14 years we have had a calendar in the house (usually just relying on our phones). It has columns for each of us, shopping list and note pad and has been useful already. I also want to get in a better routine with the household chores (definitely still work in progress) by doing little and often. I plan to make myself a timetable, just stating what I have to do each day. When I am tired, hassled and stressed I find it hard to think straight and nothing much gets done. So this might be a positive step. I spent quite a while the other night ordering hundreds of photo’s (using the free prints you are offered when you sign up, what a saving! ), as I take so many photo’s, but haven’t actually printed any yet. I want to put some in Baby’s My Life Story diary and create a picture wall in our living room. So another job ticked off my never ending list. I love my blog, it is time I take for me. I know it is about Baby and our family life, but I enjoy the process and the writing. When I am stressed I do not feel creative and then I panic that I won’t have a post. I know no-one will care, but I will, as I want to keep posting regularly. So I have been thinking ahead and planning what I might like to post, and getting a few ideas in draft form. I have also produced a spreadsheet detailing all the linkys I am aware of. Sometimes I have an idea for a post to find the linky has just closed, so hopefully knowing what’s going on, when and where will help me plan and again reduce my stress. All I need to do now is to focus on my new business! Oooo those life story books look fantastic!! I might get one for ME lol!! Good luck with getting organised- I need to make a start, haven;t even bought a 2014 calendar yet! Share your wish to get organised with household stuff and blogging too. I blog a lot but that is because my head is always so full. Sometimes would be better to plan ahead methinks.